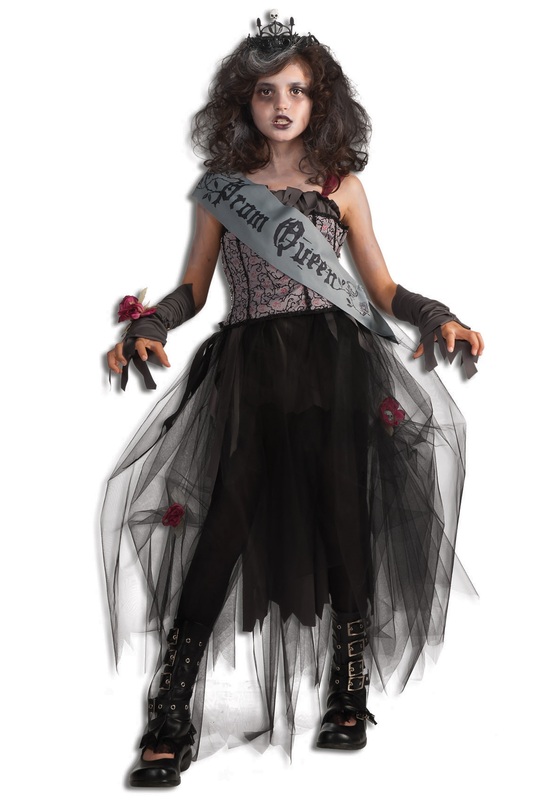 Begin your reign of terror with this Gothic prom queen costume! The girls goth prom queen costume includes a gray color with red tulle shoulder straps. 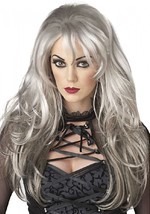 The costume is made from polyester and an elastic band lines the chest for a comfortable fit. The black tulle skirt is uneven on each side to give a ragged appearance. Jagged strips of fabric decorate the neckline, as well as the skirt. The tulle skirt has faux flowers, with skulls in the middle sewn into it. A black lace trim adorns the underskirt. A gray corset style sash with black detailing and black trim ties around the front (note that it does not have red details as pictured.) Tattered gray glovelettes slip on the wrists with an elastic band and a faux flower corsage fits around the wrist with an elastic band. The two-piece tiara features Gothic decorations, and a skull in the middle. Slide on the light gray sash, which reads "prom queen" on the front. 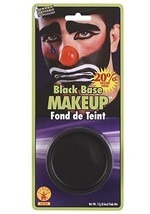 Add our black and white makeup for an extra spooky look.